Hope everyone is having a great 1st week back to school! I can’t believe I have a 4th grader and a kindergartner. How is that possible?! 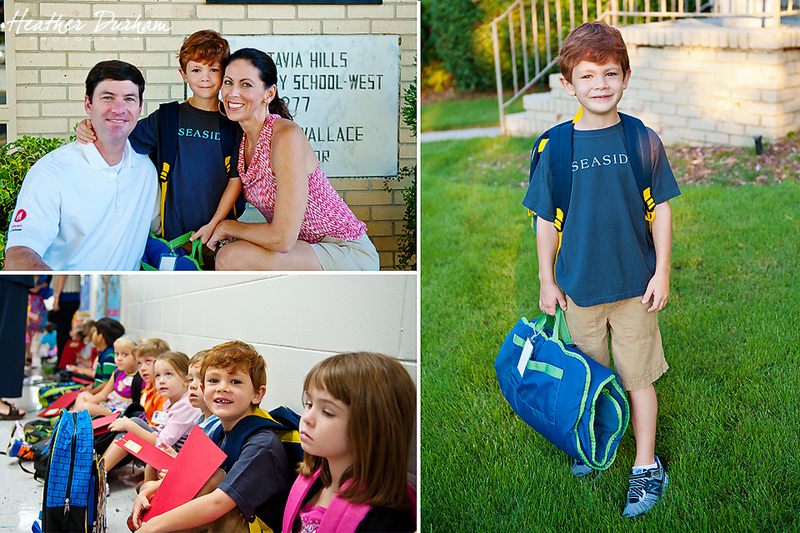 Thought I would share my kids’ 1st day of school shots I grabbed quickly before we had to jump in the car. Here’s my 4th grader hamming it up with a little bit of sassy for the camera. She chose the blingy sparkly rockstar looking backpack from Justice. I’m reminding myself to let her win the battles so I can win the more important wars…sigh. I love this girl!! She’s a drop of sunshine in my life every single day. Here’s my baby headed off for his first day of kindergarten. He was so excited to be “so big”! Thankfully that made it a little easier on this mommy’s emotions. Love my spunky baby boy! Next A Classic Session of Adorableness!